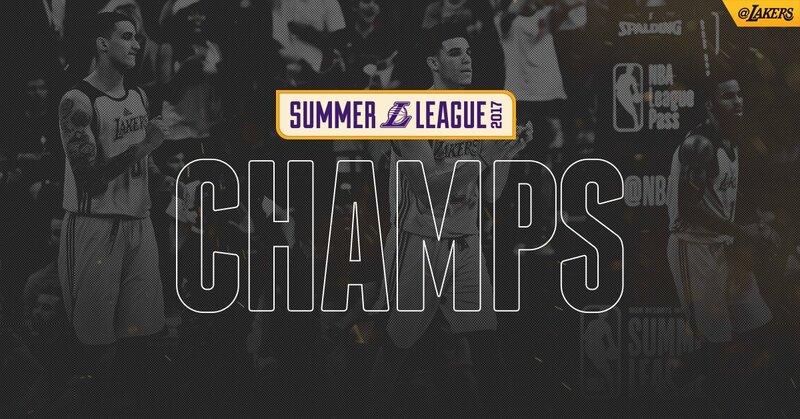 First off, it's Big Baller Brand over everything. 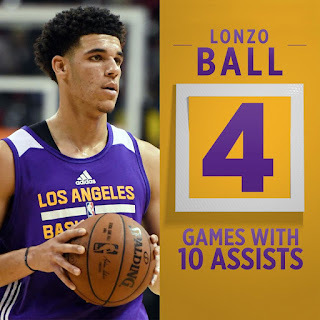 Now that this is out of the way, I wanted to talk about the power of the Triple B's and more importantly, the play of the new star point guard for the Los Angeles Lakers, Lonzo Ball. 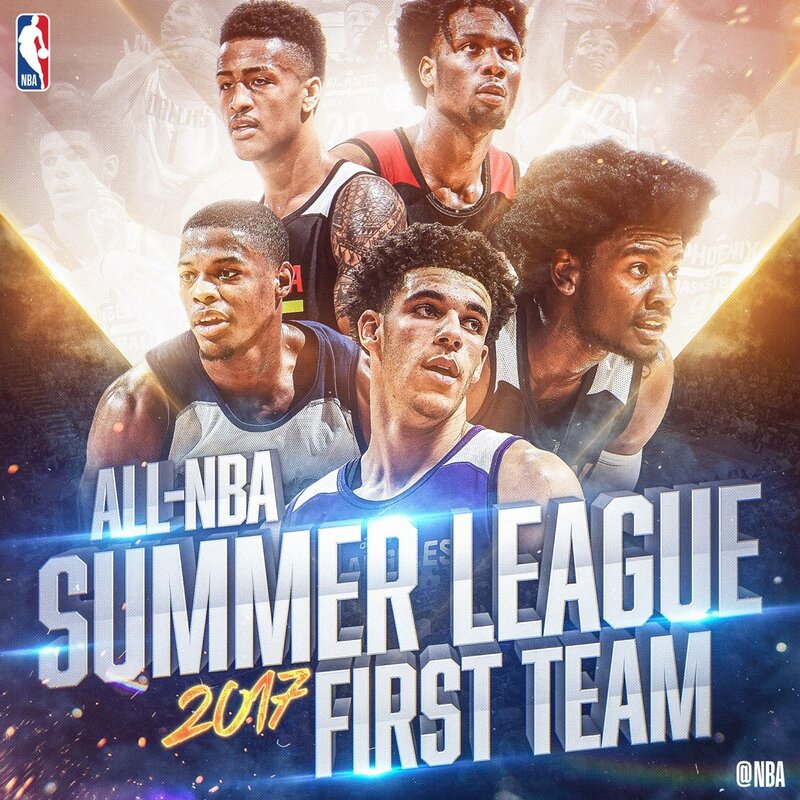 Lonzo is the 2nd pick in the draft and he was highly touted coming into the Summer League. The question was, could Lonzo actually translate his game over to the NBA level? 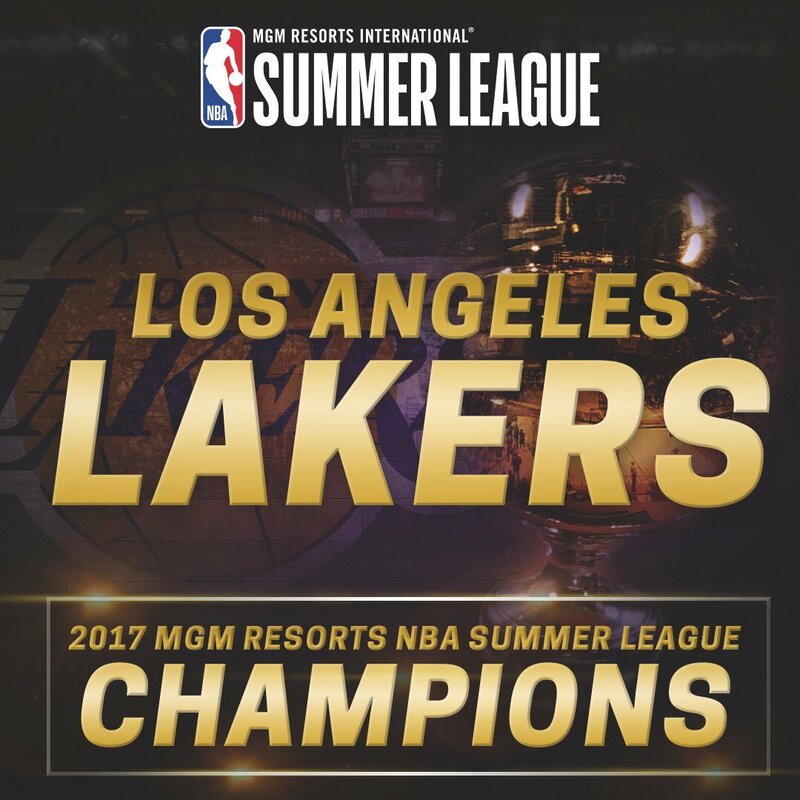 While we have to wait a few months before we see Lonzo on the court against top tier players like Kevin Durant, Stephen Curry, Russell Westbrook, and LeBron James, we got a preview of what Lonzo could bring in the 2017 Las Vegas Summer League. 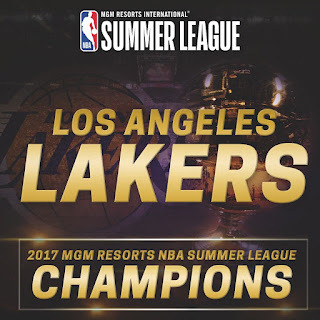 With the final game just ending and the Lakers securing the Summer League Title with Lonzo winning the Summer League MVP award, it seems like all doubters were put to rest with his performances. From the start, it was expected that Lonzo would get involved and have a vital role in Summer League, but I don't think many predicted the level of success that he would have. In a Summer League that had Markelle Fultz, Josh Jackson, Jayson Tatum, and so many more, Lonzo stood out immensely for his level of play on both ends of the floor, something that should truly be appreciated. 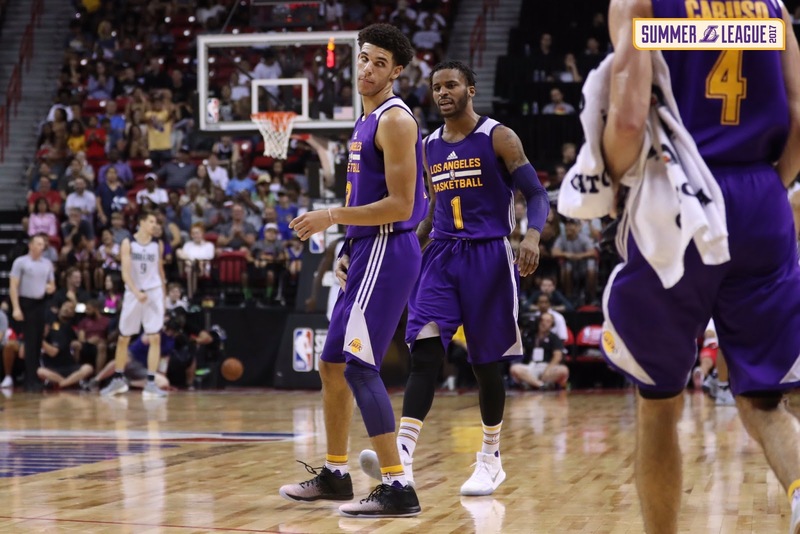 His first appearance in the Summer League game wasn't so special, as his debut in his own pair of ZO2 shoes didn't go so well. 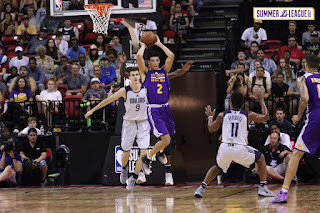 With 5 points, 4 rebounds, and 5 assists in his debut, Lonzo wasn't at his best, but he would rebound in the black pair of his shoes, pulling in a solid triple double with 11 points, 11 rebounds, and 11 assists in a close loss to the Boston Celtics. 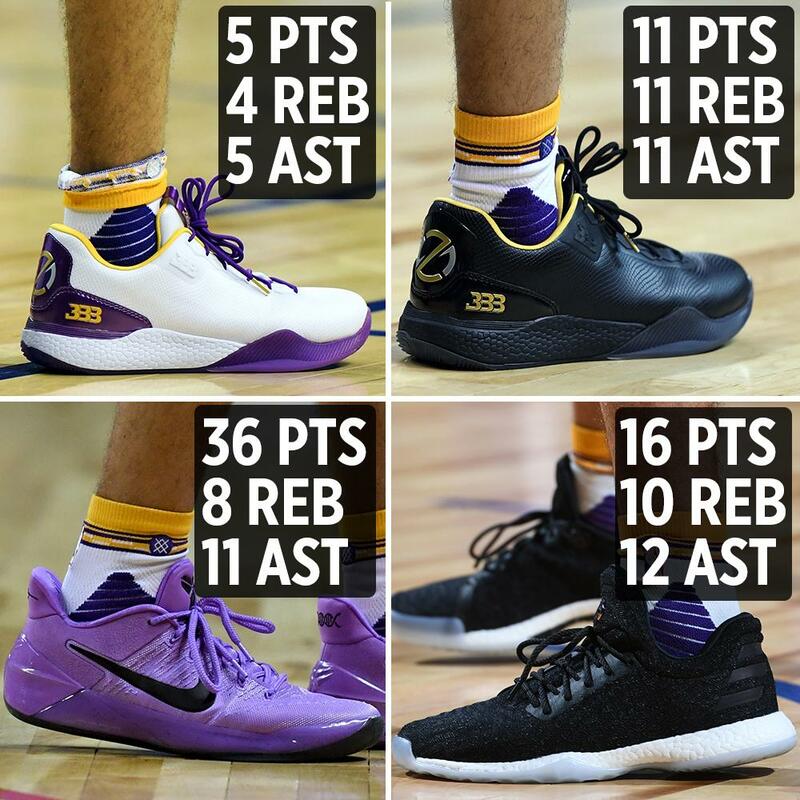 After the triple double, Lonzo garnered headlines by wearing different shoes in his next outing in Summer League. 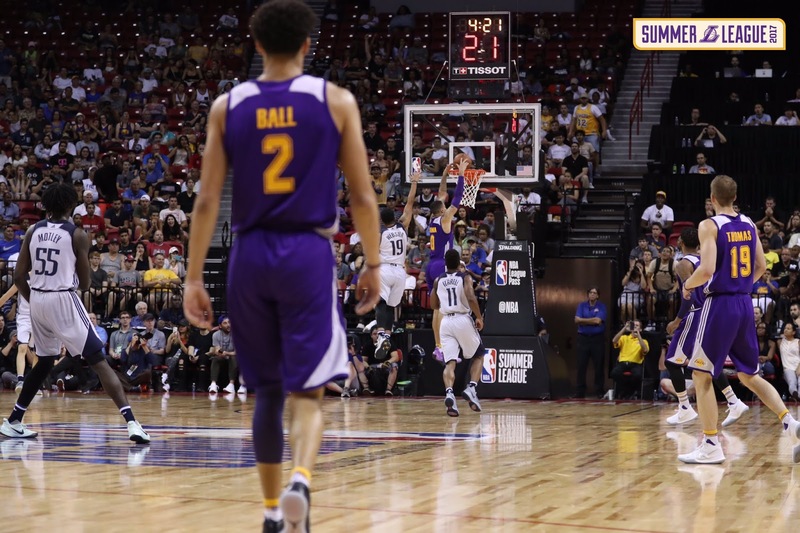 Wearing a pair of Kobe Bryant shoes, Lonzo took to the court in the Nike sneakers and everyone wondered what was going on. 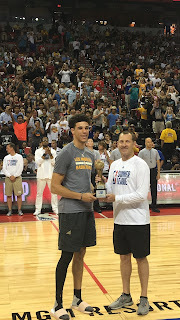 He preached about independence and having the freedom to play in whichever shoe he wanted to and it was on this night that he would have an awe inspiring performance against the 76ers. He finished with 36 points, 8 rebounds, 11 assists, and 5 steals while shooting 55% From the field in what I believe was the best overall performance in all of Summer League. 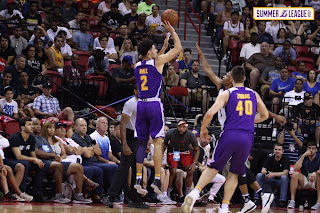 In his next game, Lonzo would wear the James Harden Adidas shoes and notch a triple double in a big win against the Cavs. Finishing with 16 points, 10 rebounds, 12 assists, and 5 steals, Lonzo struggled with shooting, but was able to contribute in big ways all throughout the game for his team garnering a victory and moving them on to the next round in the Summer League. In his next game, Lonzo played in a pair of the new Steph Curry shoes and while he struggled shooting wise, he managed to lead the offense and get his teammates involved for a big victory over the Nets. Lonzo finished with 14 points, 9 rebounds, and 7 assists, coming up just short of the triple double. Lonzo wasn't 100% pleased with his performance in this game and came back firing in the semifinals game against the Mavericks, starting off very well and finishing with 16 points, 4 rebounds, and 10 assists in just 21 minutes of action in a virtually easy win for the Lakers. 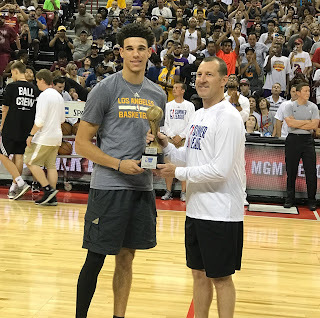 Lonzo left the game in the 3rd quarter with a calf strain and he wouldn't play in the Finals, but his presence was felt. 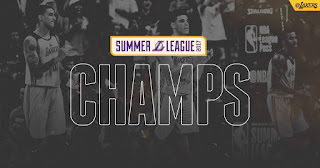 Lonzo helped give the team confidence and as a result of him being a leader on the floor, it carries over to the rest of the players who managed to get the job without him in the Finals. Sure, Summer League isn't too relevant, but the fact that so many eyes were on Lonzo this entire time says a lot about the future of the Lakers and his future in general. 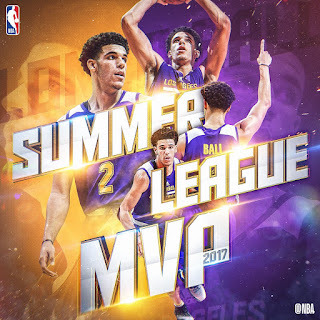 Lonzo finished with an amazing stat line of 16.3 PPG, 7.7 RPG, and a Summer League record of 9.3 APG to go with 2.5 SPG and 1.0 BPG as well in the games he played. Whether Lonzo comes into the NBA regular season and does the same thing remains to be seen, but all the talking and hype that Lavar Ball put behind his boy has paid off big time. Lonzo has a long career ahead of him and whether he's wearing Nike, Under Armour, or his own BBB apparel, the Lakers organization will never be the same again. 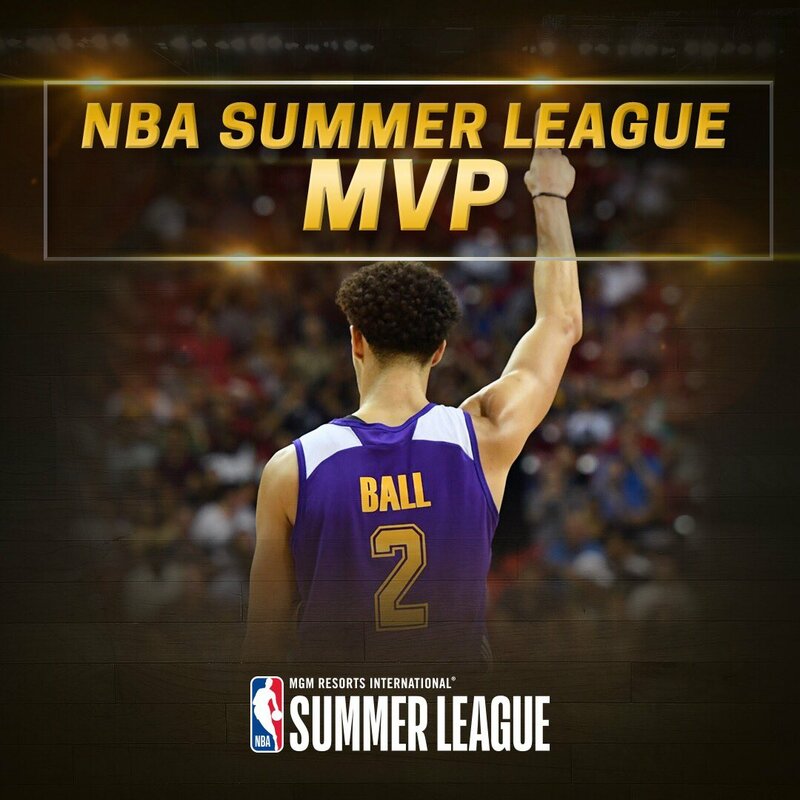 Word to Big Baller Brand.